Surprise! Cheesy Fantasy Comic is starting up again already!!! I just couldn’t wait to get back to these guys! Also, in other news, I started a Patreon! If you like this comic and wanna support it, (or just wanna help me out) you can! I’ll be posting all kinds of cheesy fantasy comic art on the $1 plus Patreon blog, along with scans of my sketchbook near the end of the month for the $5 and up backers! Things like this will help me be able to keep making this comic. It gets really hard sometimes, and some support would make worlds of difference! 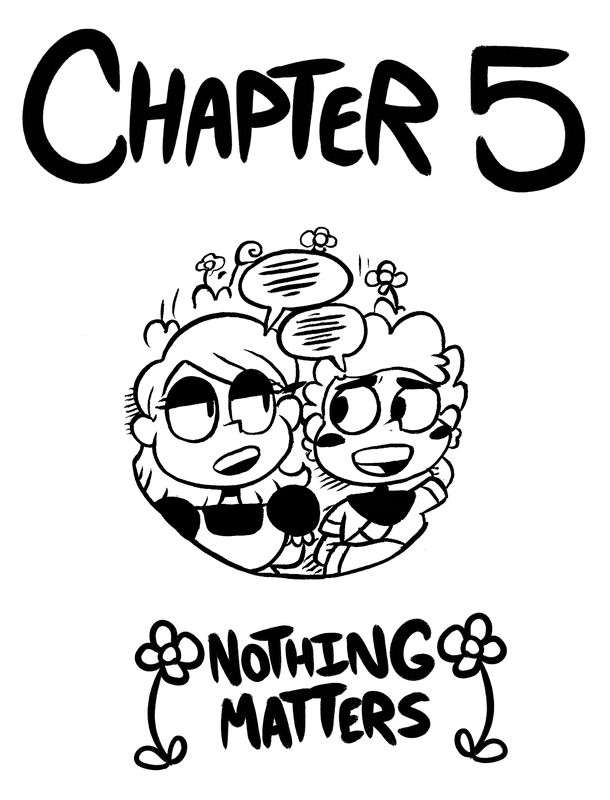 Anyways sorry bout the advertising there, I hope to see you all back tomorrow for Chapter 5: Nothing Matters!